Essential oil – the hot new trend, a gift from nature for holistic treatments for you to relax your body, mind and soul. Trusting nature to take care of the nature in you. 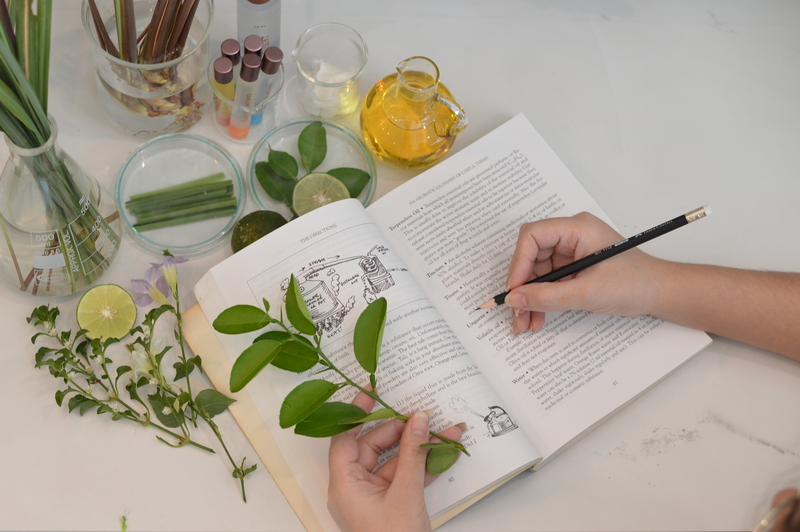 The price of essential oils are quite high when compare to the synthetic fragrances in which the price of each type of essential oils depend on the difficulty and the amount of oil extracted. The type of essential oil that can be extract in large quantity are such as citrus, lemongrass, pine, cedar, eucalyptus and peppermint. The expensive ones and harder to extract are such as Rose Otto, German & Roman Camomile, Jasmine, Frangipani, White and Pink Lotus, Tuberose, Sandalwood, Agarwood, Neroli and Champaca. Thailand is a production hub for high quality essential oils such as ginger, galangal, lemongrass, bergamot, cassumunar ginger and turmeric. The essential oil properties are varies depending on the complexity of the chemical components. Oil that comes from flower plays important role to attract pollinator while some flowers such as Lantana would send out the smell to protect itself from enemy, or some would use the oil to retain the moisture. Some essential oil also has properties including disinfection, reduce inflammation, reduce stress as well as refreshing. Essential oil can have the affect to the body, emotion and mind where it acts as a medium for transferring the energy that plants have accumulated as important substances that are extracted as essential oil and pass that energy to the body. In medical field, there are interaction between the body, mind and soul that transfer to a part of the brain that control the emotion which is called limbic system which is a part of the central nervous system by inhaling, massaging as well as by eating. 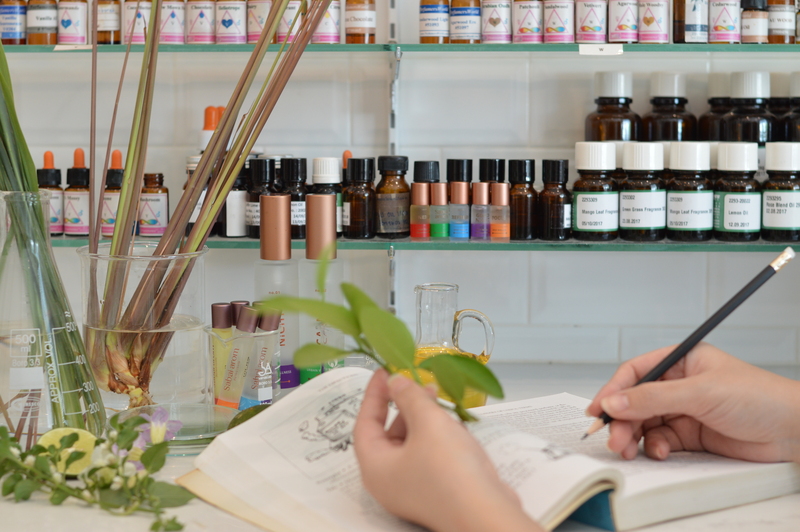 Traditional Thai medicine practitioners have been using essential oil since ancient time. This can clearly be seen from the traditional Thai treatment that often comprise of massage, compressed and mask such apply massage oil which made from mixing various herbs in vegetable oil to relax the muscle. If we talk about the full course of Thai traditional massage, it must be finished off with the herbal ball hot compress. 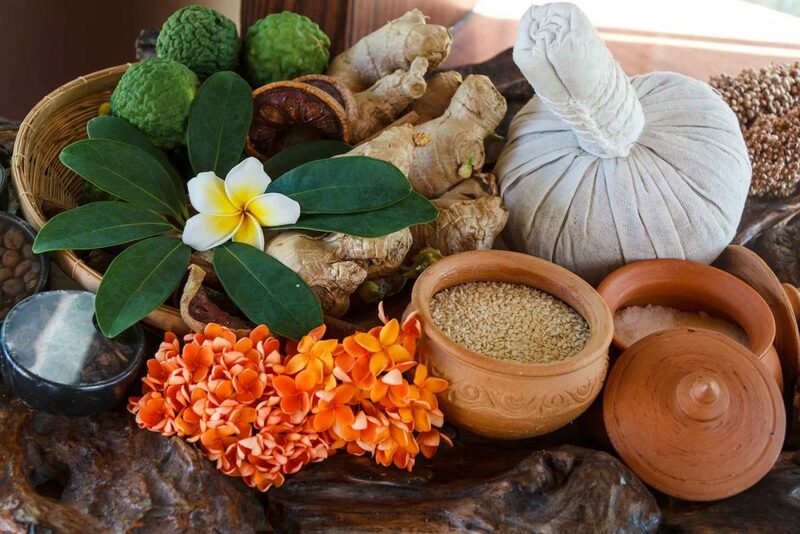 The herbal balls which are made from various types of herbs wrapped in clothes is considered as an application of the essential oils for the Thai. This is because, originally, the herbal ball are made from fresh herbs wrapped with a bundle of clothes with handle for the convenience. When using herbal balls, the ball will be steamed in steamer, similar to extracting the herb with steam that release the important substances in herbs. People who received the compress ball treatment will benefit from herb both by the essence that evaporated from the herbal ball as well as the oil extracted by steam. What are exactly inside the “Herbal Compress”? Do not use the hot compress ball when it is too hot, especially on delicate skin areas or areas that had previously been wounded. If you have to, perhaps use the towel to protect the skin first or wait until the hot compress ball cool down a little bit. Be especially careful with people who have diabetes or paralysis, children and elderly because this group of people have slow response to the heat which might cause their skin to be easily burn. If necessary use a warm compress. Do not use herbal compress in the case of inflammation. (Pain, swelling, redness, heat) during the first 24 hours as it may cause more swelling. So now that you see the raw ingredients, there’s no doubt in the medicinal properties of the herbs, but they might be somewhat difficult to find. We would like you to try Sabai-Arom’s Urban Wellness Calm Mist and Urban Wellness Calm Spot Roller are alternatives to the traditional compress ball. You can easily use them when you feel queasy. You will feel relax from the aroma from essential oil in the easy to carry packaging.